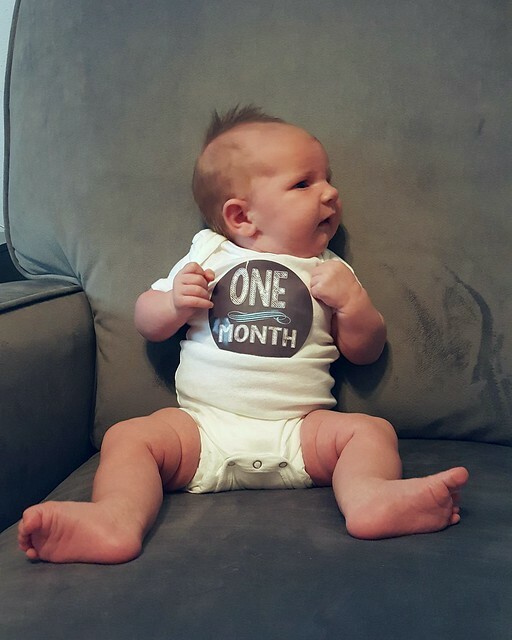 You're already a month old (well almost 2 by the time this is up). You're such a sturdy little thing. You don't seem like a newborn, and it's probably because you're such a chunk a lunk. 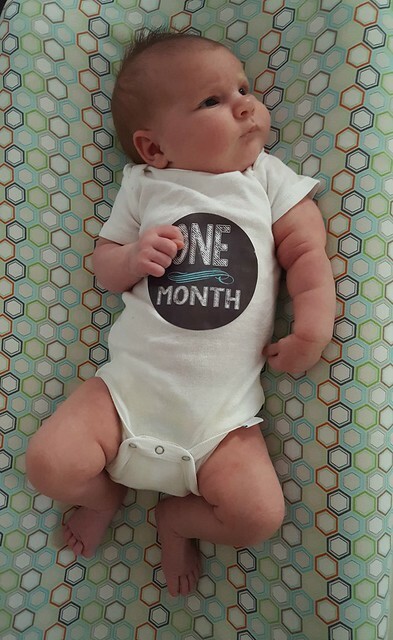 You are already up to 11lbs2oz and you're 23 inches long. You're in size 1 diapers and I'm already packing up the 0-3 months clothes since you only fit in them for a hot second. You are nursing well though we found out you have tongue and lip ties that will need to be revised. Your light brown hair sometimes seems like it's getting lighter, and sometimes seems like it may be a coppery red color. You still have those blue grey eyes, but they seem to be lighter than your brother's were. We're wondering if you may have ever light colored eyes, but it will be awhile before we know for sure. You are an awesome sleeper. I joke it's my reward after your brother waking 5+ times a night for 2 years. You only wake about twice a night. You make transfers to the cosleeper easy though I often fall asleep first and you just sleep next to me. You're a happy and easy going baby. You love your daddy's singing, hugs from big brother, and being outside. 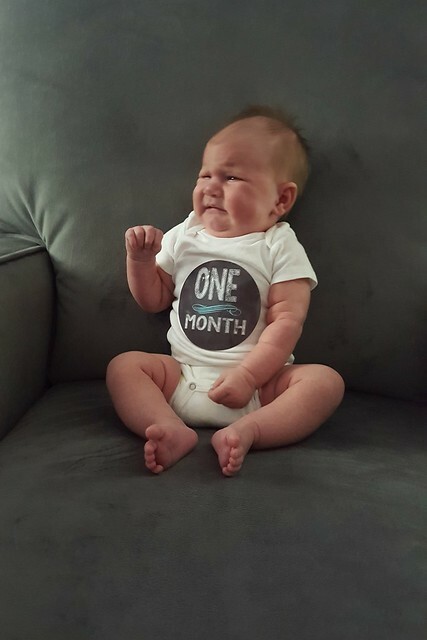 Dislikes - your car seat and monthly photos. You are such a joy little girl. Your brother (and us) absolutely adore you, and we're so happy you are here.